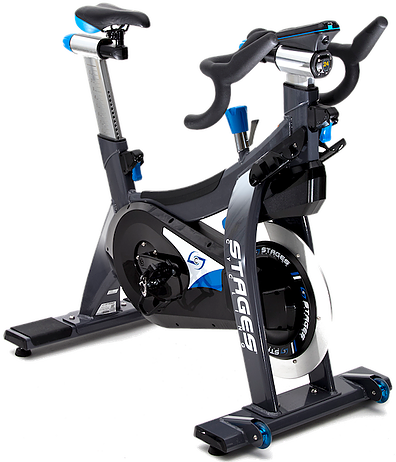 The next stage in Indoor Cycling is to track your distance, power output and speed by utilizing digital display monitors. With the option of setting (and promptly blasting past) new milestones, you’ll have more instant feedback of your own personal progress than ever. Includes Bluetooth 4.0 compatible so you can track your workouts by connecting directly to your phone or heart rate monitor. The patented SprintShift can alter your resistance on a dime (no more incessant turns of the knob!) and is the perfect tool for HIIT and interval-based training. Our bikes are equipped with pedals that accommodate all levels of cyclists from novice to expert. Cages are available for athletic shoes as well as clips for Delta or LOOK-style cleats. All bikes accommodate SPD cleats, as well. We offer free cycling shoes for first-time clients and provide rental shoes for returning visitors at $5. Our preferred shoe is the Shimano and we are happy to provide guidance if you are in the market to make a purchase.